UK has been known for manufacturing premium cars and luxurious vehicles. So, when you talk about the automotive industry, there is no doubt that it is amongst the main key drivers of UK economy. With its unbeatable reputation, innovate your car business on an industrial computer system to make you stay in the car industry. 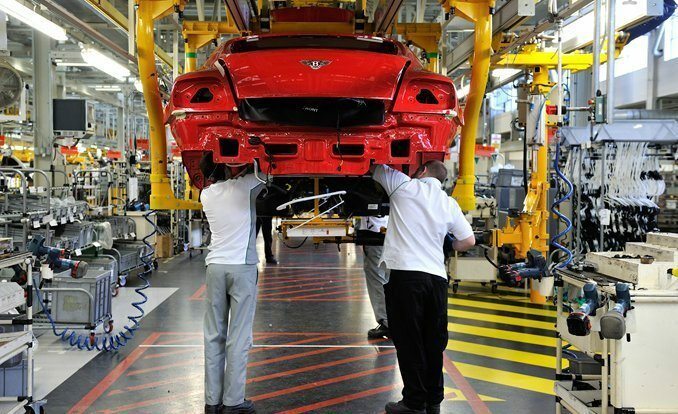 Want to be technologically-driven like Bentley, Jaguar, and Rolls-Royce? Learn how you can use an embedded computer system to optimise your manufacturing and production performance. When you look into UK’s automotive map, there are over 3,000 car companies competing and that includes you. So, how can you stand out if you remain to be outdated and having the fear of investing new technology? But, if you want to elevate the nature of your car business, installing 12.1” ruggedised industrial computer system would be a great help. Powered by touchscreen technology with an IP68 rating and NEMA-sealed, it makes the entire operation working effortlessly yet efficient production. Take a look and see how industrial computing solutions help improve car manufacturing and production as follows. Just like any other industry, car manufacturing process involves design, assembly and test and quality control. Each of these stages, advanced industrial computers and industrial robots are being paired to complete the entire operation. During the design stage, an industrial-grade computer is essential as this has the capability to collect accurate data, analyse and transmit vital information to the assembly area and quality control for testing. With a 12.1” rugged industrial device, operators can perform specific functions by installing a compatible software to it. Regardless of saying, this kind of technology comes with an Intel Bay Trail M/D operating system bearing 2.0 GHz Quadcore processor motherboard. Which means, it can store a large volume of data. The assembly stage is a phase where all components of the vehicle are assembled. From chassis, body, paint to interior assembly, everything must be put in place and functional. To ensure correct assembly, a 12.1” embedded industrial grade computer is integrated to an industrial robot to perform the procedure. However, in this type of working environment, any equipment is exposed to dust, any fallen debris, liquid spills (i.e. gas, oil, grease), and extreme temperatures. But, with IC system, these certain issues are not a hindrance in your assembly phase as industrial PCs are built to provide exceptional performance in varied temperatures. Notably, before a vehicle hits the road, testing and quality control must be performed first. With the stored data in the computing system, a QA personnel can easily evaluate the capability of the vehicle. Investing an innovative technology is your ultimate road to success. Of course, having an industrial computer system gives an ease and efficient productivity for your car business. So, instead of turning your back, start your engine now and find how you can build your industrial PC today. Problem viewing the content? You view and download PDF version of the content here.